Its Earth Day and we wanted to think about ways to be kind to our grand blue marble, Earth. Here are 6 simple things you can do to drastically reduce your plastic waste. With all the plastic being dumped into landfill and floating in our oceans, the time has come for all of us to behave more responsibly. And that’s actually pretty easy. You don’t have to be perfect, or completely change your way of living. Just follow these simple steps and you will cut down a lot of unnecessary waste. It all starts with changing the mindset. Once you start to actively reduce your waste, you will realize just how much waste there is everywhere. And then, you’ll be able to make conscious decisions about what you buy. You will be better prepared and will be likely to buy less “stuff” – as you’ll only buy what you need. That, in turn, can help you save money! The average American family takes home almost 1,500 plastic shopping bags a year. So if you choose to stop using just one type of plastic – the plastic bag is a great place to start. Stock up with a few reusable bags and you’ll never have to contribute to this waste again. For example, reuseable produce bags are great to use to pack your fruit and veggies at markets. 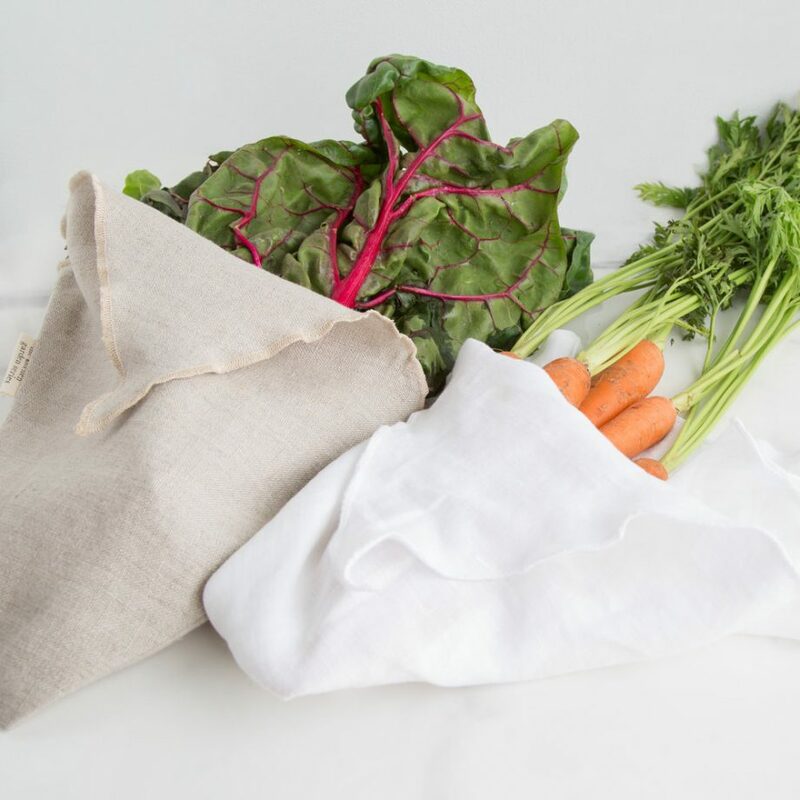 Pop your produce straight in the bags, and when you get home – wash them inside the bag, and pop them straight in the fridge. They are also handy to use while shopping in a grocery store, or for general organization too. It’s recommended that we change our toothbrush every 3-4 months. If these toothbrushes are plastic toothbrushes, that’s a huge amount of plastic waste that is being discarded every single year. In fact, over 1 billion plastic toothbrushes are thrown away every year in America alone. Imagine if 50% of the American population swapped their plastic brush for a biodegradable bamboo brush. That would prevent 500 million pieces of plastic entering our environment every year, and 5 billion every decade! 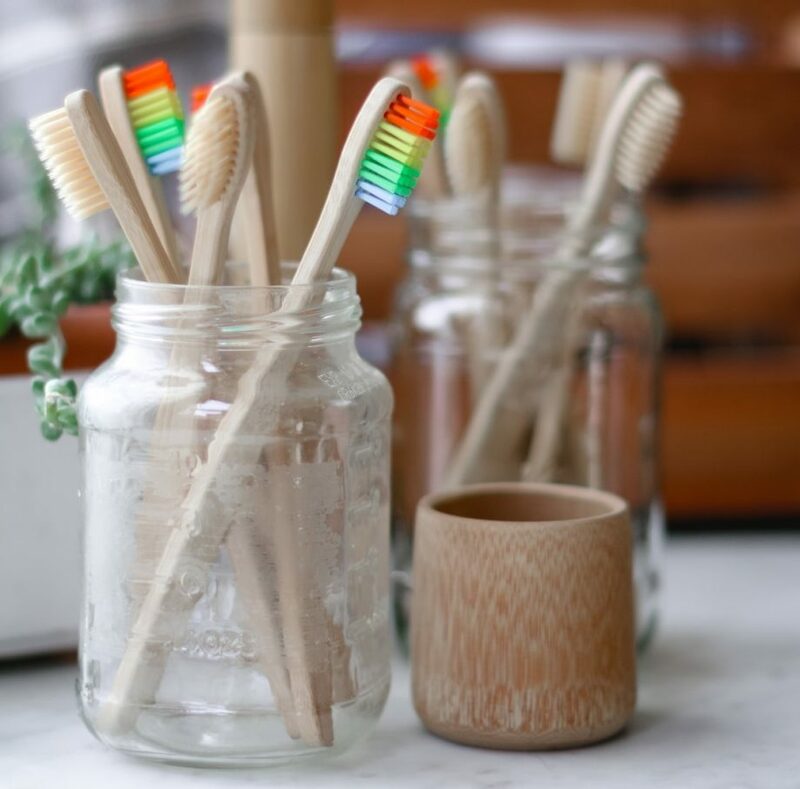 Swapping your plastic for bamboo toothbrush is another small change you can make, and save money while helping the environment, too. Plastic straws are a one and done event. They are too small to be recycled, so their only destiny is either landfill or floating in our ocean. Ask yourself: Do you really need the straw? Maybe it’s an added luxury…and you could get used to drinking without one? Alternatively, you can keep a small pack of reusable straws in your bag at all times…and whip out in times of need. They are easy to clean and kind to our wildlife. Whether you prefer stainless steel drinking straws or bamboo straws, you’ll never have to drink with a plastic straw again. At Cherry Grove Farm, we’re all about sustainable farming and treading lightly on the land. When you buy from local markets, you can cut down your consumption of plastic packaging and will end up throwing less away. We have a small “Sustainable Re-useables” section in the farm store that makes cutting back on waste a bit easier. Try our re-useable tea bags and coffee filters, or reusable beeswax wraps to keep food fresh without using plastic wrap. There’s nothing wrong with getting take-out; the problem is the packaging that the take out often comes in. Plastic lids, cutlery, wrap, styrofoam, polystyrene… None of it biodegrades which means that even though your meal only lasted once, the packaging will last forever. We know it can be difficult to find the time for home cooking, but cooking meals in bulk can cut down a huge amount of time. And make enough to last two or three meals and it can be just as convenient as a take out – but with all the added benefits of being home-made, chemical-free, and plastic-free. 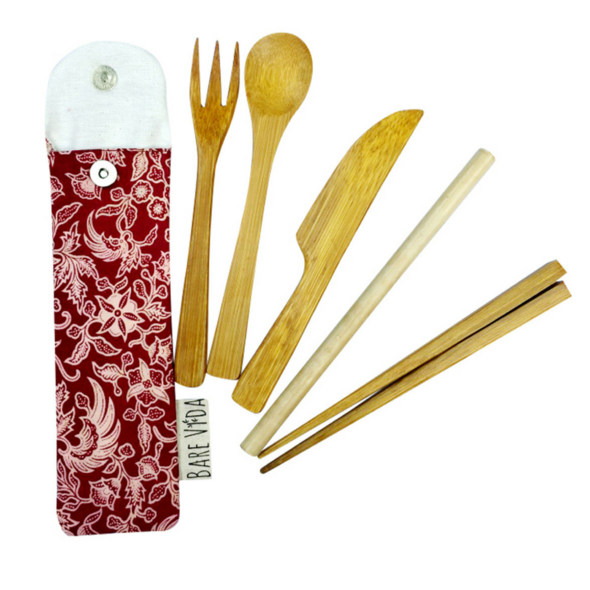 But if you must have those pot stickers or tacos al pastor, why not have a handy reuseable bamboo cutlery pack in the car and just say no to the plastic utensils? Reduce waste in your life. Earth Day is a good day to think about what we can do to reduce waste and single use disposables. Hopefully these 6 simple steps have given you a little inspiration to reduce your waste today. And remember – it doesn’t all have to be implemented at once. Just one small change can make a big difference. We are considering expanding our “Sustainables” section in the store to include bamboo reuseables. Tell us if this would help you reduce waste in your life! Hope everyone has recovered from those tryptophan trips. It’s time to reset those cheese cases and cheeseboards with care and abundance for the holidaze joy! It a mild day here in Lawrenceville, as our cheese elves enjoy this brief respite from the frigid weather to make a batch of Toma that will ripen for February’s chill. 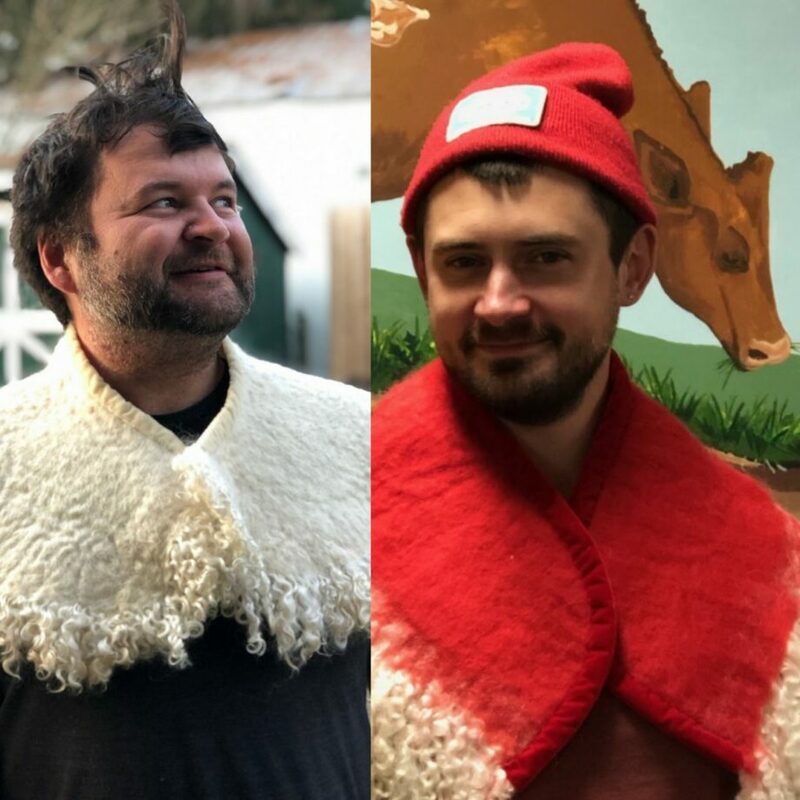 A belated reminder that all our farm elves here at Cherry Grove are grateful for your support this holiday season. 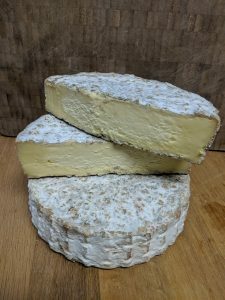 Beautiful soft ripened mixed rind tomme/brie hybrid. The paste in most wheels is about 1/2-2/3 broken down, meaning the texture is extremely decadent, smooth and buttery. (Think foie gras minus the baaaad karma.) The flavors and aromas we’re getting from these wheels range from: buttered hen of the woods mushrooms, chicken stock, damp earth, and roasted brassicas. Purrfect with turkey in leftover turkey and cranberry sammies. Raw Milk. The supply in the farm store now will last through the holidaze. Get it while you can. 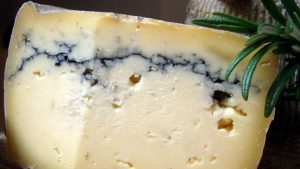 Abruzze Jawn is a popular choice for any cheese platter with its sweet and smoky peppery flavors. Nice supply of our ever-popular winter white brie in the farm store through New Years Eve.Pasteurized. Nice selection from the 1st week of September. These have some nice creaminess to them, where we like them. Some basket cuts and small rounds for slicing into bite sized wedges and rounds. Great for a cheese plate! Raw Milk. Speaking of baskets, a wee supply of this one, a variation of Herdsman with ash through the middle. This batch is distinctly cheddar-y, but with a squeeze of lemon & horseradish. Raw MIlk. Bright grass milk paste with equally bright fall fruit flavors and a roasted malty flavor on the rind. Beautiful creamsicle colors and a raclette-like texture. Into our August wheels, we should have a nice supply of this through the holidaze. Raw Milk. As delicious as ever. Come and get this pleasantly funky washed-rind beaut. A soul warming eyeopener for those holiday cheeseboards, with an Old Fashioned chaser. At least that’s how our gathering will play it. Raw Milk. 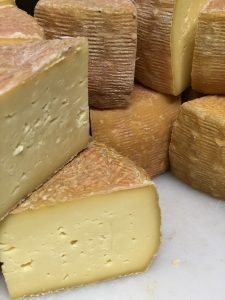 This aged alpine cheese is one of our most popular cheeses, and sales have been so brisk that it will became a truly seasonal cheese. Havilah is only made in summer, when the cows are on grass. Then each wheel ripens over 12 to 15 months before leaving the caves and debuting at market. A few wheels are held and aged to 24 months to become our Reserve. This year, we will sell out of all our 2017 Havilah wheels sometime in early January. So get this cheese board star while you can. A limited supply of Reserve will be released in December. Raw Milk. Lawrenceville Jack is a farm favorite showing all the seasonal qualities of our grass fed cows’ milk. A limited number of Reserve wheels will be cut for sale during the holidays. Raw Milk. Stay dry and afloat during our winter storms! Lady Miss Keir gets it, do you hear it? Ooooummmmammmi, OOOOUUMAMI. That’s right, Oooumami is back. Notes of cauliflower, beef, asparagus, cannellini bean, sour cream and mushroom dip – a real spring ringer of a raw milk bloomy! Get it while the getting is best. Oooumami: Gorgeous raw milk, mixed bloomy rind cheese. Tall and delicious. Raw milk. Working on December batches now. These wheels are surprising us (go hay milk!) with classic tomme flavors and textures. An array of flavors that range from oregano and heavy red sauce to garden fresh carrots and beets to lemon and malt!. Raw milk. October and November 2016 batches. Can’t stop and won’t stop, this cheese is a flavor bomb and it makes no apologies. Current tasting notes include: pineapple, beef broth, grass, caramel and an array of allium flavors. These batches are heavier on the savory side. Raw milk. January wheels now available. These wheels are kind of blowing us away. Insanely decadent texture with a rin that makes an absolutely indelible impression. Our tasting notes included everything from alliums, shellfish and ballpark peanuts to mango! These are some special batches. Raw milk. Not many wheels. The flavor is typical Rarebird: gamey meat, peanutty, funky butter and wild mushrooms. Raw milk. 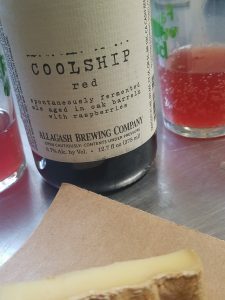 We’re currently washing a handful of these Rarebirds in this radically tart lil beer from Allagash for our friends at Tria Taproom in honor of upcoming Philly Beer Week! We’ve got a seriously tiny stock of Brie available at the moment. First come, first serve. More is on the way. Pasteurized milk. Easter is coming… and we have a comfort food classic for your weekend! Put all ingredients for glaze into a saucepan and whisk together. Bring to boil over medium high heat then lower heat and simmer, stirring often, until thickened a little (about 10 minutes). Pour 1 cup of water in the bottom of a roasting pan with rack. 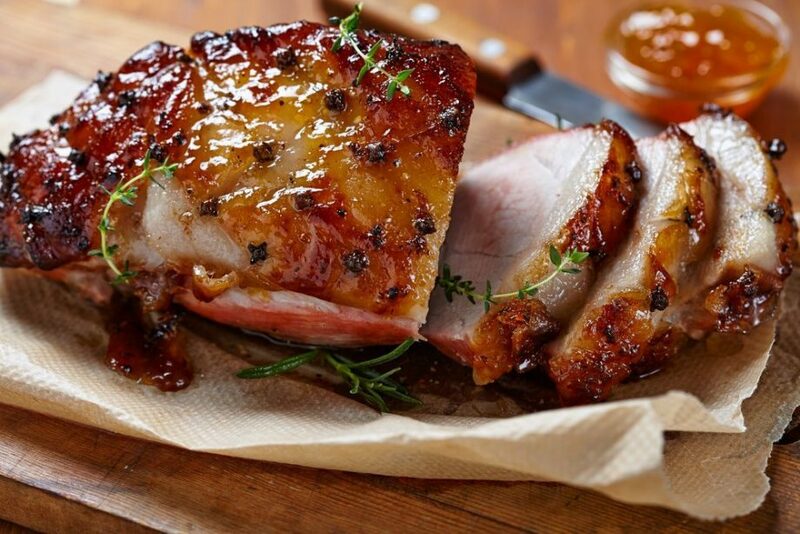 Place ham on rack and cover with foil. Bake about 18 minutes per pound, or until inner temperature reads about 135 degrees. Remove from oven, uncover, and brush glaze over entire ham. The days are getting longer and our chickens are feeling the warmth. Lots of eggs available for our customers! In fact, from Wednesday morning (March 14, 10am) until Sunday evening (March 18, 5pm) we are running a “Spring is coming, I swear it” promotion. 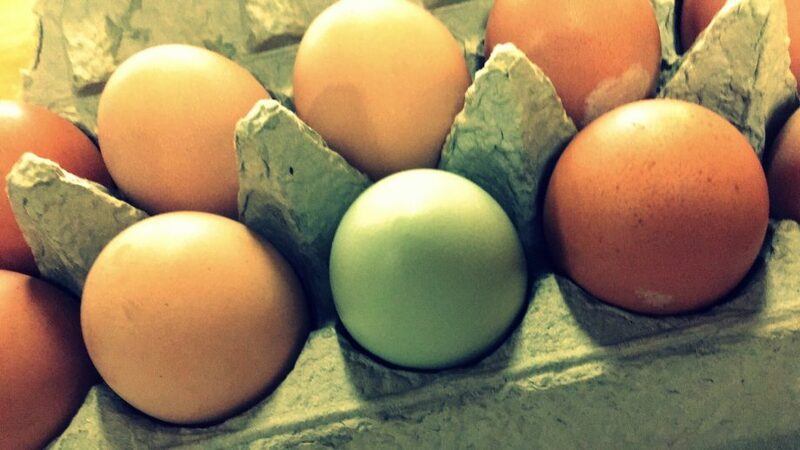 Buy 2 dozen or more of our farm eggs and get 25% off your egg purchase. Remember, fresh eggs will last up til 2 months in your refrigerator.